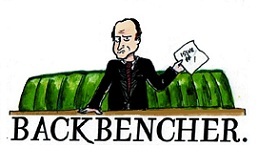 The Backbencher – Nelson Mandela: Saint or Sinner? 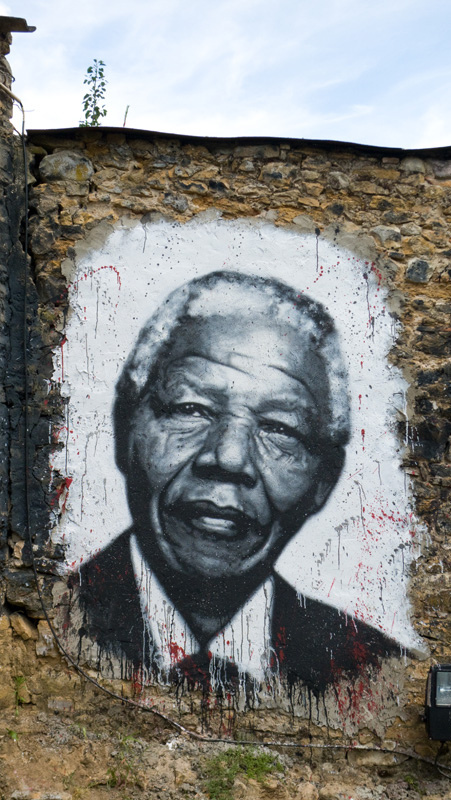 Andy Bolton asks how libertarians should view Nelson Mandela and his struggle against an apartheid state. With his failing health and impending 95th birthday, Nelson Mandela is once again at the forefront of world attention. The world is bracing itself for the inevitable news and the world’s press are jostling for position outside his hospital to report that news. Barack Obama stated this weekend that he wouldn’t visit the ailing Mandela, because it would be interpreted as merely a photo opportunity and would also invade the family’s privacy. Instead, Obama took his photo op at Mandela’s cell on Robben Island, stating he was ‘deeply humbled’ to stand there. Such is the kudos of Mandela that world leaders are keen to touch his sleeve, albeit only metaphorically now; Jonathan Freedland’s article ‘When Nelson Mandela goes, the global village will lose its elder’ sums up many people’s view on this elder statesman. However, many on the political ‘right’ have always argued that Mandela was a terrorist, and so was rightly punished. The facts, for a libertarian, are (ironically) slightly less black and white, with Mandela’s struggle against an evil state taking on three main phases. Nelson Rolilhalha Mandela was born into a royal family in an already racially-divided South Africa on the 18th July 1918. In his younger years, he attended university (training as a lawyer) and became involved in anti-colonial politics: co-founding the ANC’s Youth League. By the late 1940s, the Youth League had gained control of the party, in response to the Apartheid laws passed from 1948 onwards by the ruling National Party. The ANC at that time supported a campaign of civil disobedience, including strikes. The government responded violently. In 1950, 18 black strikers were killed during one protest. 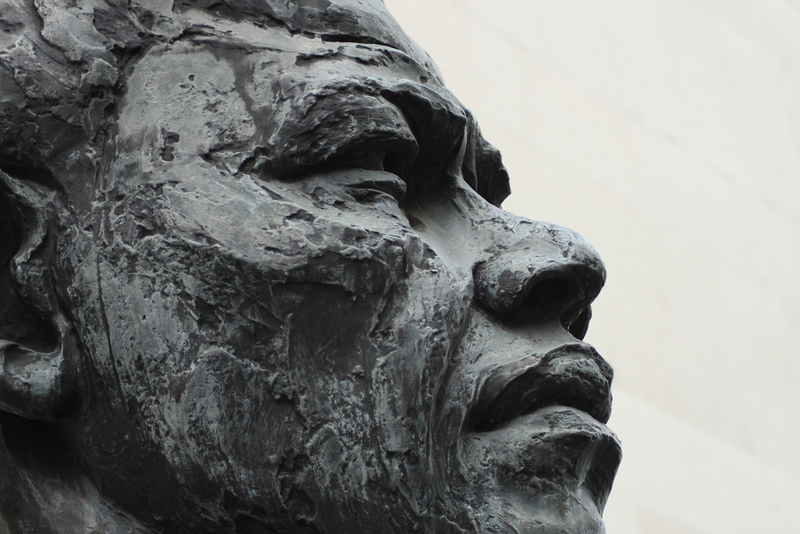 This was the first phase of Mandela’s struggle against apartheid – the non-violent phase. After thirteen years of increasingly violent response to peaceful protests, the ANC had become despondent and desperate for change. They started a guerrilla campaign against government installations and engaged in many other acts of sabotage. This was the second phase: a violent campaign targeting the government alone. Many libertarians would err at the thought of starting a violent campaign against their state due to the non-aggression principle, however in South Africa at the time it can easily be justified. The state had already initiated the violence: both mentally with apartheid laws, and physically with the violent response to civil disobedience. This wasn’t initiation of aggression – it was defence against it! Some libertarians may disagree, but I believe that Mandela’s response at this time was entirely justified. The South African government declared Umkhonto we Sizwe a terrorist organisation and therefore illegal (incidentally the US government also declared MK a terrorist organisation, undoubtedly as it was in fear of similar events there due to the increasing civil rights campaign). The question of whether the individual is right to take up arms against their state is a difficult one. South Africa was one of, if not the most, democratic countries in Africa at that time, even though only a minority of its people were allowed to vote (or even be classed as citizens). This question entails challenging the very core of democracy – as I frequently do – by asking if a legally-mandated government is ever really morally legitimate? Whilst many libertarians, including myself, would prefer Gandhi’s adherence to non-violence as the preferred route to liberation, I can sympathise with Mandela and his colleagues making the choice that they did at that time. The one aspect on which most ‘right-leaning’ libertarians will agree upon is that the ANC’s politics were pretty abysmal: as with many of its regional allies, who it relied on for military support of MK (including ZAPU, FRELIMO and SWAPO), it was aligned with various flavours of socialism and many of its contemporaries were funded by the Soviet Union. The ANC was also closely affiliated with the South African Communist Party at that time. Whilst many libertarians, including myself, would prefer Gandhi’s adherence to non-violence as the preferred route to liberation, I can sympathise with Mandela and his colleagues making the choice that they did at that time. The third phase of action against the apartheid state was a result of the gradual slide into despotism within MK. It was subjecting recruits to extreme punishment, and many human rights violations occurred including executions without due process within ANC detention camps. Umkhonto we Sizwe then extended its military campaign to other targets, including mining rural roads leading to farms, and bombing bars, restaurants and shopping centres. The landmine explosions alone resulted in over 123 deaths and the ANC eventually abandoned it due to its high rate of casualties amongst black labourers. One set of statistics record 230 deaths due to the ANC/MK campaign in the period 1976-1986, with only 10% being members of the security forces. As with the ratio in the general population, over 70% of the casualties were black. As a libertarian, I cannot support initiation of any act of violence against civilians and therefore this campaign was abhorrent and immoral (incidentally, to hold democratic voters responsible for their government’s worst excesses is the approach Osama Bin Laden used to justify the attacks against the US on September 11th 2001). This extension of violence from the state to civilian targets didn’t start until 1976 after the Soweto uprising, during which at least 176 protestors ̶ many of them children ̶ were killed by the police. With respect to Soweto, the extension of violence can be seen as an understandable, but not justifiable, reaction. Whilst the ANC and MK are to be rightly condemned for their escalation of violence, the involvement of Mandela with this decision has to be questioned. He had been imprisoned since 1962, and during this period was in isolation on Robben Island with only one visit and one (heavily-censored) letter every six months. With this limited communication, it is dubious to hold him responsible for MK’s campaign against civilians. Although I would view Martin Luther King and Mohandas Gandhi as better role models for liberation movements, due to their non-violent approaches, there does come a time when state oppression can only be fought with violent means. In my view, Nelson Mandela was right to do this in his time, although his movement’s successors were wrong in their subsequent approach. Whilst I vehemently disagree with the socio-economic model that Mandela and his colleagues wished to inflict upon their people, I do think that he should be recognised by libertarians for his fight to free the persecuted and effectively enslaved people of South Africa.